The market for powerful computers, like the Mac Pro is now, isn’t going away any time soon, but the question is whether Apple will leave that market behind (for others to take). I don’t believe that’s what we’re seeing, although that also wouldn’t surprise me. I believe that in the same way the iPad will increasingly replace our MacBooks, the MacBook Pro and iMac are replacing our Mac Pros. The more portable, less expensive computers are stepping up to the demands traditionally made of their big brothers. Things have been looking rocky for Apple’s most powerful computers ever since Steve Jobs likened traditional computers to trucks. 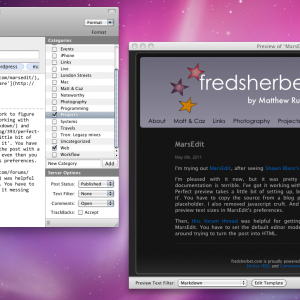 I’m trying out MarsEdit, after seeing Shawn Blanc’s post ‘An Ode to Software’. I was watching the most recent TWIT special, which is a collection of young adults talking about entrepreneurship. Most of them entrepreneurs themselves. It was a good, inspiring watch, so check it out at http://twit.tv/specials32. One of the young entrepreneurs is Joey Primiani, and he’s made a simpler commenting system, that I’m trying out on my blog. 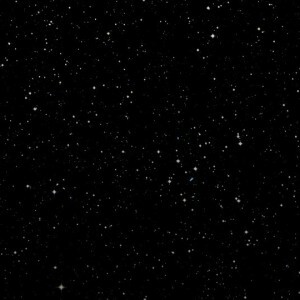 I was using Disqus, but it adds a big blob of busy-ness at the bottom of each post, so I wasn’t too keen on it. Joey’s comment system is clean and simple, but only ties in to twitter. You put your twitter name in, and your comment. It pulls all your details, including your avatar, from Twitter. 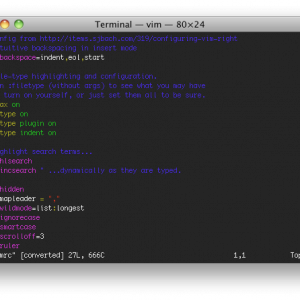 An aside: apparently vi actually just redirects to vim in Snow Leopard.